Christian Grande once again teamed up with SACS for the REBEL 47 – a revolution in the world of RIBs. The D-shaped solid tubes are not inflated but made of a state-of-the-art composition of moldable foams and hi-tech anti collision plastics material, sheathed in Neoprene Hypalon. Pandering the boat sculpted design, the tubes maintain their active role in the hydrodynamic project assuring all the positive attributes of conventional tubes–like. The result is an unbeatable durability along with a unique dry ride plus an improved stability during navigation or at the anchor. 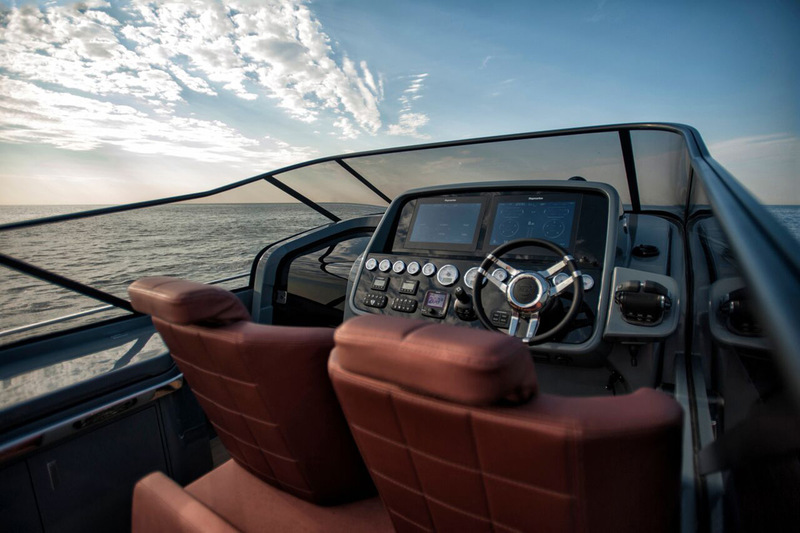 Rebel 47, extremely versatile, will be available in two different configurations. One as “protected version” and another one as “Mediterranean” with a classic all-in-line layout. 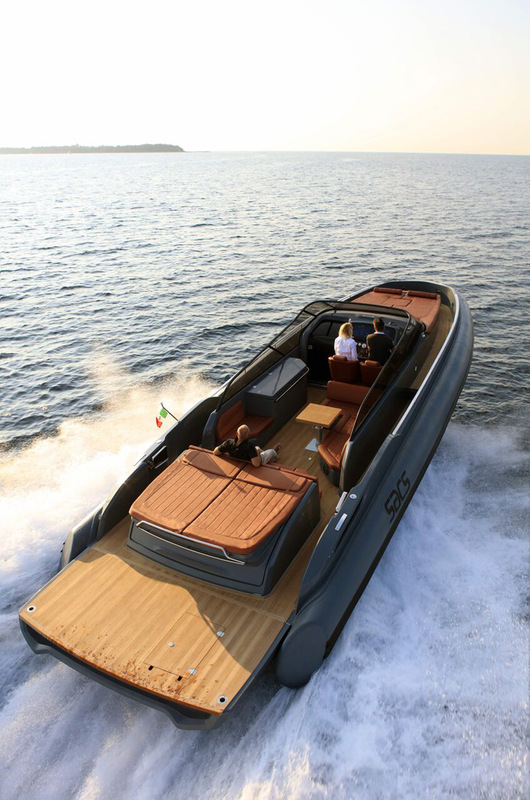 In the first version released – the Mediterranean – Rebel 47 with its high ship sides together with the wide “U shaped” windshield, allow the guests on board to stay in the living space as in a limousine. From the swimming platform, passed by the wide aft sunbed, guests have one unrestricted access into the cockpit. The indispensable wet bar, countered by the welcoming upholstery and fitted with ice maker, fridges and even a cooktop (all options), is hidden in an elegant, functional and modern piece of furniture – promising to live unforgettable moments. The lower deck is characterized by a unique height in its category, and the harmony between the light Rovere wood and the dark Wengè creates a really refined environment. On the bow, a super queen size bed welcomes the guests in the elegant and well-designed owner dinette-room, which is very comfortable thanks to the chromatic variation and the extraordinary spaces volume. 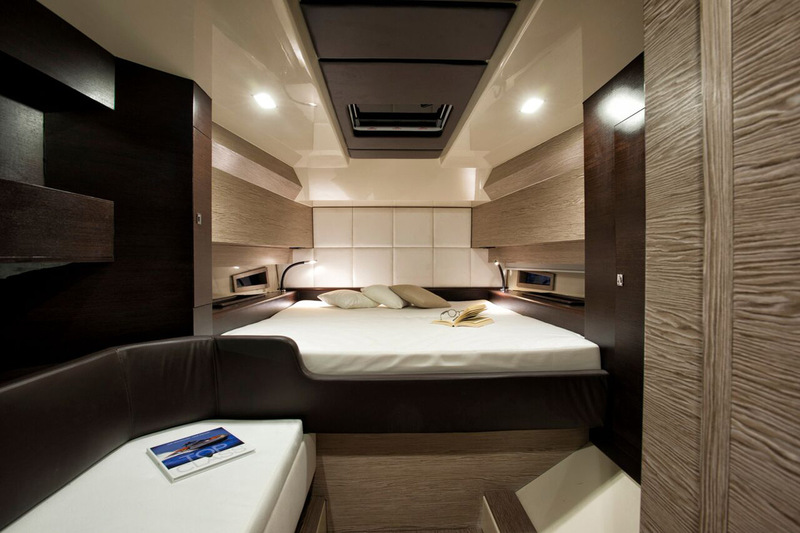 A second double cabin on the stern, a modern bathroom with a rain-shower and a separate WC complete the internal spaces.